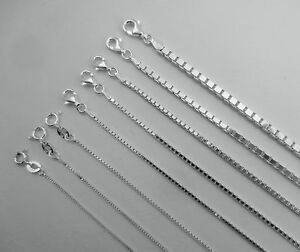 Sterling Silver .925 box Chain Necklace 0.8mm,1mm, 1.5mm & 2mm 14"-36"
joiecollections has no other items for sale. There are 3,297 items available. Please enter a number less than or equal to 3,297. Wow!!! Delivery was lightning speed!! 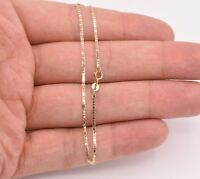 Beautiful bracelet!! Thank You for sending so quickly and well packaged. Fast shipping, product as described. Very happy with purchase. Great product, fast shipping, would buy again! Beautiful product! Fast shipping. A+ Seller!